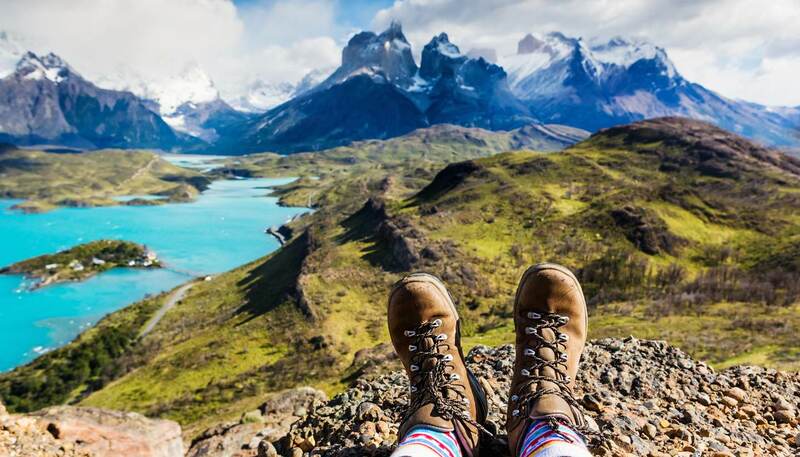 Hiking lovers rejoice; we’ve compiled a list of the 10 best hikes in the world, from an ancient route trodden by samurai to a climb up to the ‘roof of Africa’. This ‘W’-shaped track on the border of Chile’s famous Patagonian region provides you with an unbelievably diverse range of breath-taking landscapes, showing the best features of glaciers, turquoise lakes, rolling green hills, flat farmland and rugged mountains along the way. The Patagonian region is known for experiencing ‘four seasons in a day’ all year round, so be prepared for snow, rain, hail, sunshine and 80kmph (50mph) winds. You have the option of staying in refugios (private accommodation) or you can camp. The route can begin from either end of the ‘W’-shaped track and can be completed in four days or to six days, depending on whether you want to take more time to absorb the splendid scenery. Due to chilly Antarctic winds, the best time to visit is from November to March. 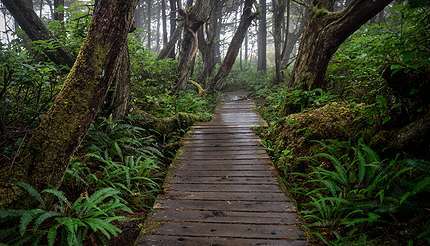 This classic Canadian coastal hike hugs the Pacific shore of Vancouver Island, alternating between a cliff-top trail in a towering temperate rainforest and stretches of remote beaches. It’s challenging, however, as you need to tackle ladders, cable cars, slippery boardwalks, single-plank bridges and a lot of mud. 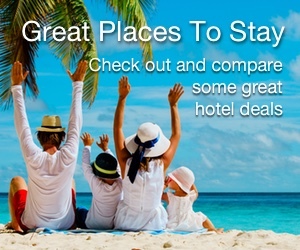 But your efforts will be rewarded with swaths of pristine woodlands, glorious waterfalls and beachside camping. You’ll also have the chance to spot eagles, seals and sea lions, migrating whales and even cougars or black bears. The trail is open from May to September and there’s an entry limit on the trail, so book a few months in advance. 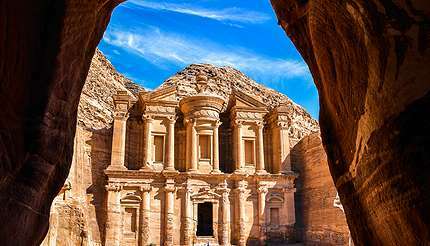 Said to be one of the best hikes in the world, this trek allows you to experience the unique landscapes and historical sites that Jordan is famous for in just over a week. Starting from Dana Nature Reserve, you trek through labyrinthine tunnels of towering rock walls before entering Petra, one of the great wonders of the Middle Eastern world. Make sure you’re well prepared for the gritty terrain, high day temperatures, low night temperatures and lack of shade. 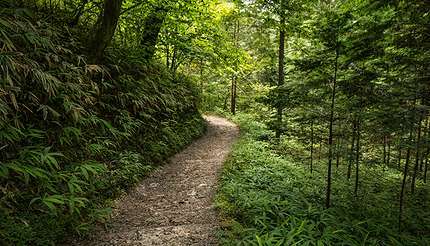 To avoid the unforgiving heat, hiking is best from March to May and October to November. When comes to tackling the highest peak in Africa, you have a choice of six routes. The most popular route is the Marangu route, aka the ‘Coca-Cola’ route because it has sleeping huts and drinks for sale along the way. You hike through the lush rainforest (watch out for monkeys) around the base of Maundi Crater – you can scramble up the crater if you like – before skirting it to Horombo Hut, Kibo Hut and Uhuru Peak. Although no technical climbing ability is required, the snow-covered summit hits 5,895m (19,341 ft) so an acclimatisation day is strongly advised. Alternatively, the Machame route is also a good option if you’re happy to camp. 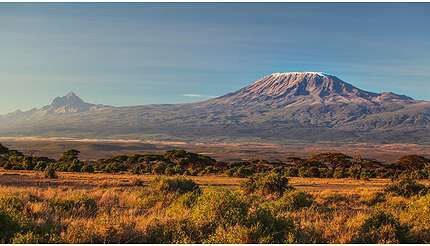 There are two popular trekking seasons for Kilimanjaro: January-March and August-September. The former is warm but maybe rainy especially in the second half of March, while the latter draws large crowds. Other months to consider are June, July and October, but best to avoid the rainy seasons (April-May, November-December). The John Muir Trail, named after the Scottish-born conservationist, runs from Yosemite Valley to Mt Whitney, California’s tallest mountain at 4,421m (14,505 ft). 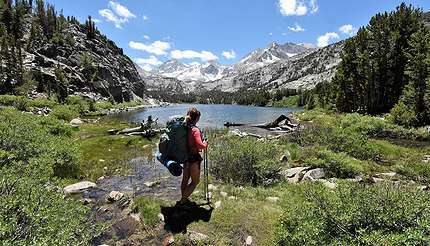 The trail crosses Yosemite National Park, Inyo National Forest, Ansel Adams Wilderness, Devils Postpile National Monument, Kings Canyon National Park and Sequoia National Park, all known for spectacular high-mountain and alpine scenery. In fact, a common ‘complaint’ from many hikers is they have to stop often to admire the jaw-dropping views. Do your research and get your permits sorted out 24 weeks (168 days) in advance from your desired starting date. Apply for your permit here. 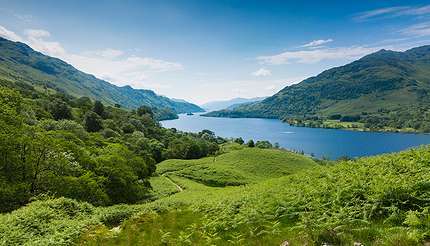 Experience some of the prettiest scenery that the UK has to offer in just a week, as this trek takes you from the suburbs of Glasgow to the dreamy shores of Loch Lomond and into the magnificent Highlands, crossing Rannoch Moor and finishing in Fort William. Hikers usually cover 25km (16 miles) a day and each night, you have the option to camp or stay at a little B&Bs dotted along the path. Due to the icy Scottish winters, summer is the most popular time to hike this trail. 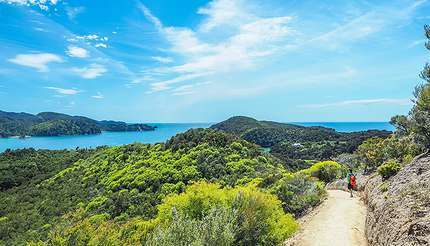 This is one of New Zealand’s most popular walks due to the fact that it is easily accessible, wildly beautiful, relatively flat (the highest point is 200m/660ft) and takes only a few days to complete. The hike takes you through secluded bays of golden sands and turquoise waters, and has a series of small, cosy huts where you can relax at the end of each day. 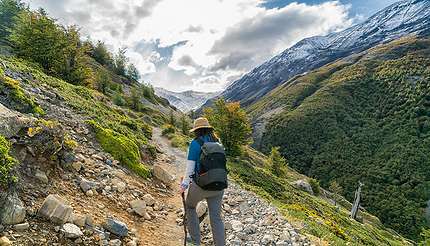 The trail is most popular between December to February (summer in New Zealand), but if you want to escape the crowds and feel the real New Zealand chill, wrap up warm and try this hike in winter (June to August). 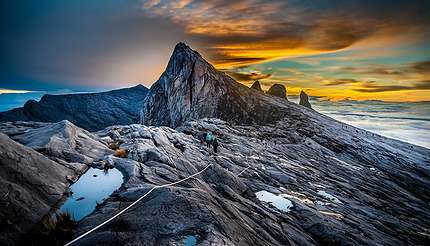 At 4,095m (13,435ft), Mt Kinabalu dominates Kinabalu National Park, a UNESCO World Heritage site owing to its immense biodiversity. The mountain stands in the Malaysian state of Sabah, in northeast Borneo. Hiking to the summit takes a little courage, with fixed ropes aiding you on the final section. After the hike, treat yourself to a well-deserved soak in the nearby Poring Hot Springs where the sulphuric waters are said to ease aching muscles. This classic Alpine route encircles the Mont Blanc massif via France, Italy and Switzerland. 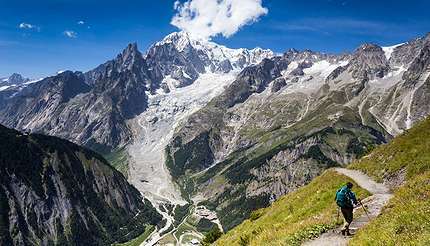 Most hikers set off from Les Houches, in the Chamonix Valley in France, continuing in an anticlockwise direction. The super-fit can take part in the annual Ultra-Trail du Tour du Mont-Blanc, a non-stop race along the route held either on the last weekend in August or the first weekend in September. The winning time is usually around 20 hours, pretty wild eh? Aka the ‘Road through the Central Mountains’, Nakasendo is an ancient route connecting Tokyo and Kyoto during the Edo period (1603-1868). Along the route, there were 69 post towns where travellers could stop and have a rest, today many of them still exist. Keep a look-out for kosatsuba, a wooden bulletin board sharing political news in ancient times at the entrance to each post town. Today, they make a great selfie spot.